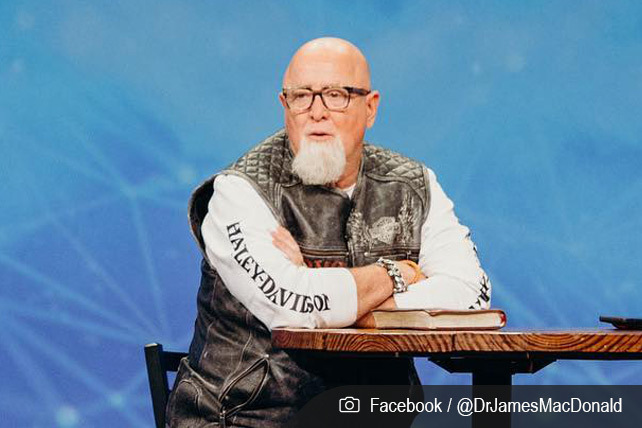 Saying criticism of him and his church crossed the line into defamation, James MacDonald and Harvest Bible Chapel are suing two former members and a former Moody Radio host. MacDonald, founder and senior pastor of the Chicago-area megachurch, has been a frequent target of blog writers Scott Bryant and Ryan Mahoney, who left Harvest in 2010. Filing a lawsuit and asking for a temporary restraining order is his way of saying “enough is enough,” MacDonald notes. According to the filing in Cook County Circuit Court, the evangelical pastor and church claim Bryant and Mahoney have been publishing false and misleading statements on The Elephant’s Debt, a blog they launched in 2012. The resulting damage to the church’s reputation has caused 2,000 people to leave in the past few years, the lawsuit says. Also named in the suit is Julie Roys, who is alleged to have made disparaging comments about the pastor and church. Founded by MacDonald in 1988, Harvest Bible Chapel now averages 13,000 weekly attendees in seven locations. It joined the Southern Baptist Convention in 2015. During the past decade, Harvest has been on lists of America’s largest and fastest-growing churches. MacDonald also has a radio ministry, Walk in the Word, and a church-planting ministry, Harvest Bible Fellowship, known for the concept of Vertical Church. In the legal filing, Harvest says that by 2014, it developed into an organization of more than 100 churches, with 400 employees and assets totaling more than $100 million. Around 2010, when Mahoney and Bryant departed, the church was reportedly in debt and dealing with leadership conflicts about the appointment of elders. MacDonald has acknowledged past mistakes and apologized to some elders in 2014. But he disputes the bloggers’ claims that Harvest “barely survived a bankruptcy in 2006” and that he has an authoritarian leadership style.